The $5M market cap explorer Rumble Resources Limited (ASX: RTR) is days away from kicking off its maiden drilling programme. It’s all happening in Australia’s prime nickel exploration province, the Fraser Range in Western Australia. On Friday, November 7 th , a drill rig mounted on a high-powered multipurpose truck will begin drilling the first of four holes into their highly prospective Big Red Project. Two weeks later, the 1,600m RC/diamond drilling campaign will be complete. The discovery of the world class 13.1Mt nickel deposit known as Nova-Bollinger by Sirius Resources gave that company a $1.3BN market cap and ignited a band of explorers to find the next deposit in the area. Not just explorers, even the US$55BN mining giant Vale is understood to have entered the region – next door to RTR’s ground. Western Areas, Sirius, Panoramic – all companies that have electrified the market and been catapulted to new heights with big nickel finds. 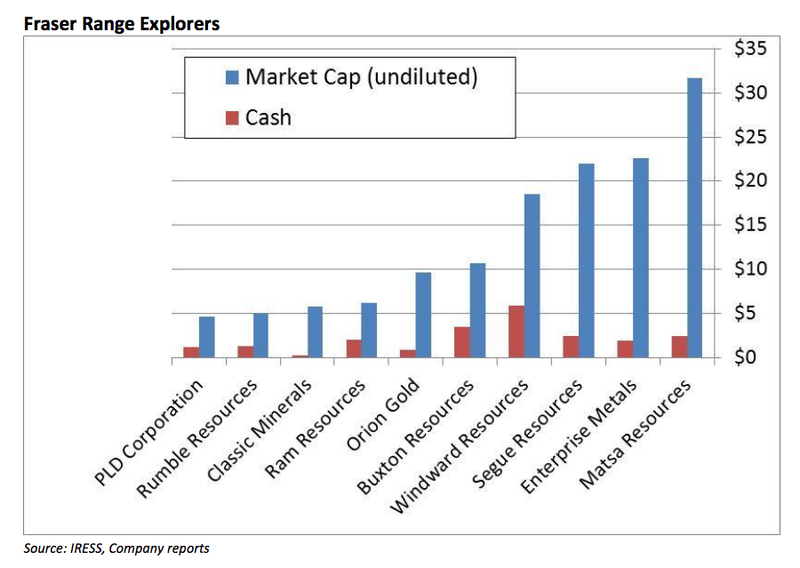 But for every successful nickel discovery, there are dozens of explorers that find nothing at all. At least with RTR, investors won’t have long to find out. Previous nickel discoveries have transformed companies, for example Sirius, Western Areas, and Panoramic. There are plenty of nickel explorers working hard to find the next big discovery in the Fraser Range. But none are drilling on such a scale in the coming weeks – if anyone is going to make a discovery soon – it’s going to be RTR. RTR’s modelling and exploration work to date have generated a Voisey’s Bay style drilling target. The “Ovoid” deposit is a feeder zone – a 600m long by 350m and 110m deep body of massive sulphides. It’s full of copper and nickel sulphides, leading to a deeper, richer, magma chamber. What RTR are looking to do in the coming weeks is prove up their theory that a Feeder Zone exists at Big Red. This conductor feeds into a large, 6km gravity body – which may well be a large magma chamber. The geologic model RTR have developed bears a striking resemblance to Voisey’s Bay – but it will become a whole lot clearer over the coming weeks as the company starts their drilling. RTR has a micro $5M market cap with just 120M shares on issue with board and management owning 16.4% and the top 20 shareholders controlling 35.8%. Any strong assay results in the coming weeks have the potential to ignite RTR’s share price, especially from such a low base. We have seen in the past that the markets react positively when a penny stock finds a massive nickel deposit. With a maiden drilling programme kicking off at Big Red on November 7 th , there is a chance that RTR could be the next one. All Fraser Range explorers are dreaming of a Sirius like discovery. That explorer, once struggling with a market cap of $6M, went to $1.3BN almost overnight when it discovered Nova-Bollinger. You can clearly see the moment when Nova-Bollinger was discovered – in the same region as RTR’s drilling site. RTR investors could know very soon what they have in the ground at Big Red – and if it’s a big nickel deposit – then RTR could enjoy a Sirius style run. However a share price rise for RTR is of course no certainty. On November 7 th , a drill rig mounted on a high-powered multipurpose truck with 2500m depth capacity will begin sinking the first of four holes into RTR’s prospect. 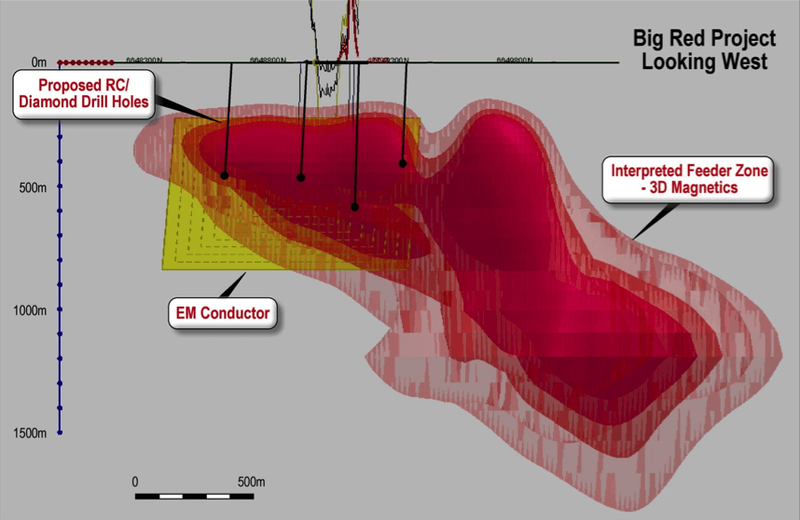 Four holes totalling 1600m will be drilled down into an interpreted feeder zone above a large EM target – a geophysical structure very similar to the one found at the 35Mt Voiseys Bay nickel resource in Canada’s Thompsons Bay nickel province. When the work’s finished, around two weeks after the November 7 th start date, assays should follow. RTR will also look to schedule a down-hole EM survey to provide a diagnostic test of the bedrock conductor. With a market cap of just $5M and an imminent drilling event, RTR could possibly uncover the next Nova-Bollinger and take them from scrappy junior status to major player. This is high risk exploration but it won’t be long until RTR investors find out the result, one way or another.